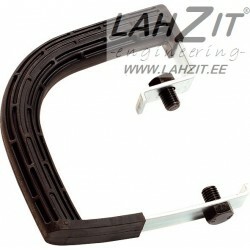 Set of spare blader for peeler tool D220 PLR. 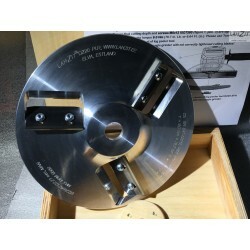 Set of spare blades for peeler tool D220 SPH. 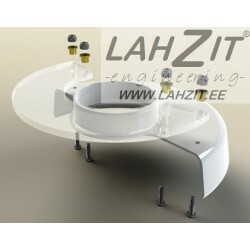 Special designed extra protective cover (shield) for 230mm (9'') angle grinder. We suggest to use this cover with our peeler tools D220 SPH and D220 PLR, it is really lightweight, efficient and it helps to protect operator from flying chips and dust particles. This set includes installation kit. 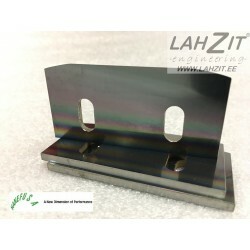 Button head M6x12 (ISO 7380, strenght grade 10.9, TX30 driver) spare set for Lahzit® peeler tools D220 SPH and D220 PLR. 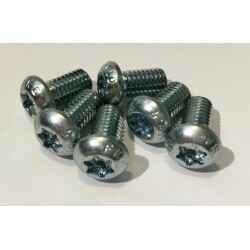 One set consist six bolts. 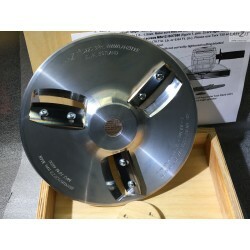 Spherical / convex shape (SPH) log peeler for 9'' (230mm) angle grinder. Professional tool for carving, shaving and for other similar works. 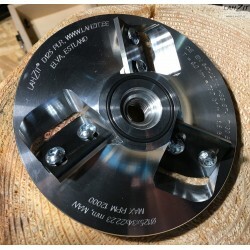 This tool allows process curved log surface or sawn wood edge. Set of spare blader for peeler tool D125 PLR. 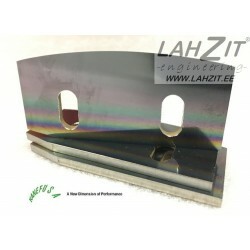 Blade material: KanefusaTM HSS with ST-1 coating. Log peeler tool D220 PLR with lightest 9'' (230 mm) grinder Makita GA9012c (230 V AC machine!) on the market, secured with extra protective cover PC-D230. This compact peeling machine weights only 5.8 kg (12.8 lbs) - this set consists all what professional woodworker needs to start peeling, shaving straight logs and sawn wood and other similar works. 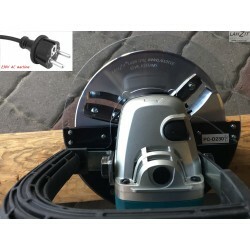 Special designed extra protective cover (shield) for 125 mm (5'') angle grinder. We suggest to use this cover with our peeler tools D125 PLR, it is really lightweight, efficient and it helps to protect operator from flying chips and dust particles. This set includes installation kit. Log peeler tool D220 SPH with lightest 9'' (230 mm) grinder Makita GA9012c (230 V AC machine!) on the market, secured with extra protective cover PC-D230. This compact peeling machine weights only 5.8 kg (12.8 lbs) - this set consists all what professional woodworker needs to start peeling, carving, shaving and other similar works.